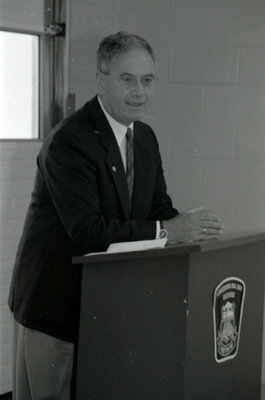 A black and white photograph of Regional Councillor Gerry Emm speaking at the opening of the new Brooklin Fire Hall on September 18, 2006. Opening of the Brooklin Fire Hall, September 18, 2006, Carl Ferencz. Whitby Archives A2013_012_002C.